An impressive Flotilla of over 100 people sailed, paddled and rowed down the Foyle to Derry-Londonderry on Saturday 17 September to celebrate the European Week of Sport. The Flotilla was one of over 8,000 events which took place throughout Europe between 10 -17 September, promoting sport and physical activity. A range of watersports clubs from across Northern Ireland formed the Flotilla which also marked the culmination of the successful ‘FlowNI – Get into Watersports’ summer campaign supported by SportNI to encourage people to try out a watersport with a view to joining their local watersport clubs. 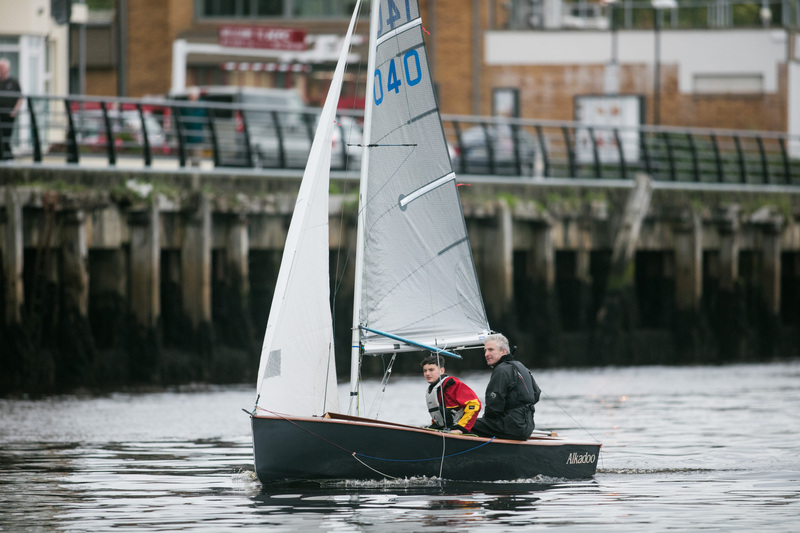 Throughout the summer months, in the lead up to the Flotilla, SportNI supported watersports clubs and National Governing Bodies throughout Northern Ireland to provide participants the skills and encouragement to take up a new watersport and join a local club. The campaign started at the end of May with 23 taster events offered by clubs to members of the public for free or a reduced cost in 8 different watersports from rowing and canoeing to water skiing and diving. These were then followed up with 57 training events for those interested in continuing in the sport.